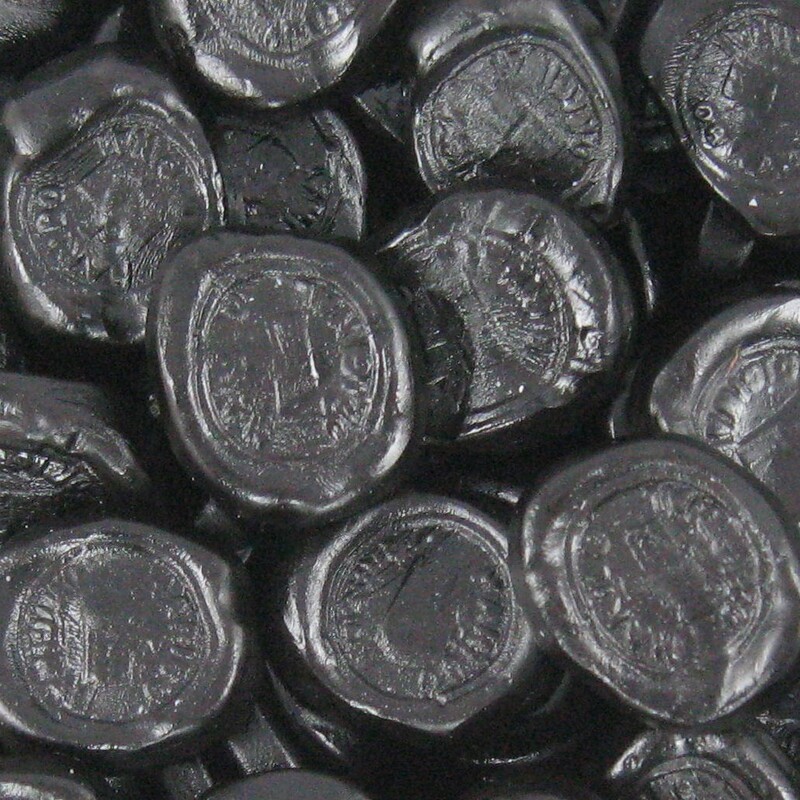 Flat round chewy liquorice pieces, liquorice lovers will love these. INGREDIENTS: treacle, glucose syrup, sugar, water, modified maize starch, caramelised sugar syrup, wheat, flour, gelatine, liquorice extract, 4.5% salt flavouring, glazing agents, vegetable oil. beeswax and carnauba wax.